Go to Hotkeys tab. 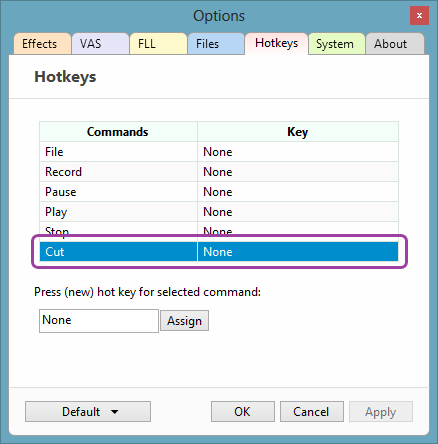 Click to select the Command you want to bind a hotkey. In this example, we select Cut, which will stop current recording, and start a new recording immediately. 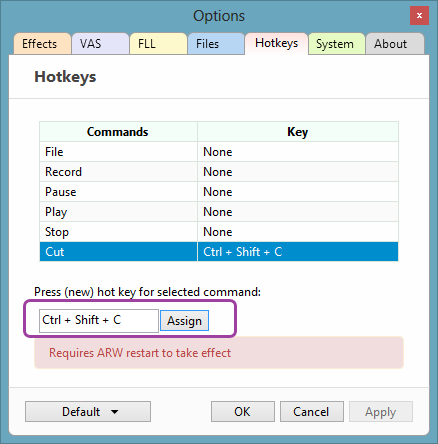 Then press a hotkey into the following box, and click Assign button. 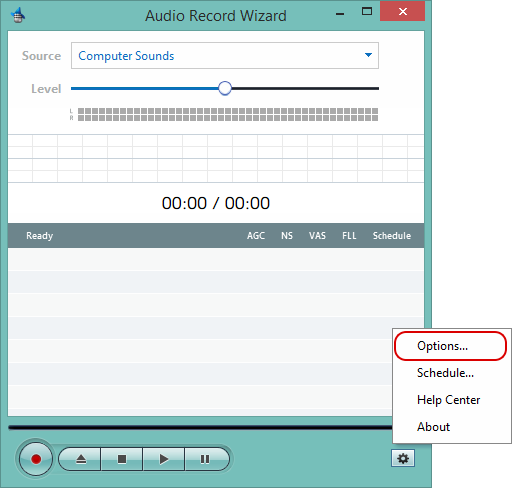 Since Audio Record Wizard will register it as a global hotkey, so you need to restart Audio Record Wizard to take effect.